Part of my other reason for installing a Unifi Cloud Key was to also have a place to test out the BETA versions of the controller. 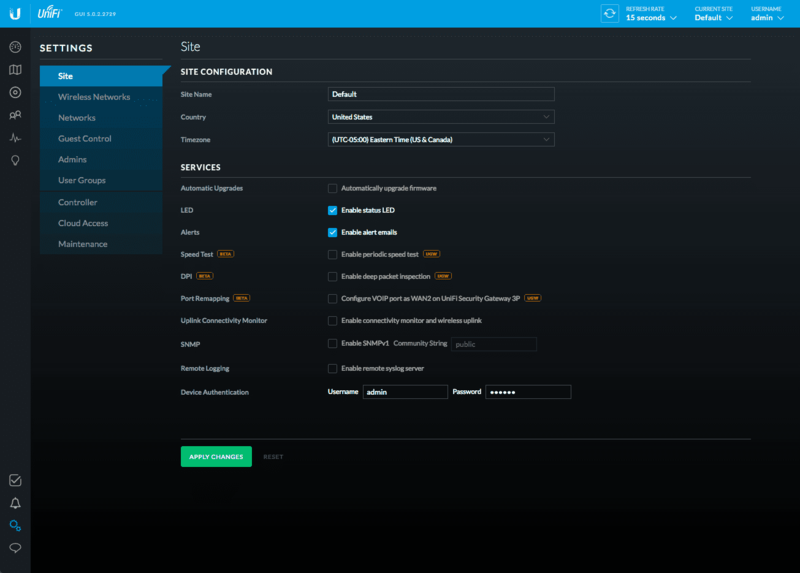 However, there is a brand NEW version coming out with version 5 that I got the okay from UBNT-Brandon to show to folks. Once I was done messing with the Cloud Key this weekend, I updated it to the Unifi Controller Version 5 BETA code. Let’s take a look at the differences they have been working on with this version. Let me tell you in advance….it’s pretty big of a release! Remember this is BETA code and if you do get access to the Beta…..don’t run this on your production controller….probably not a good idea until the release is generally available. This is not as straight forward as updating the MAC, Windows, or Unix versions, but it’s pretty close. I wanted to drop the instructions here just in case you don’t want to search out the forums for it. Once you SSH into the Cloud Key just do the following. Right from the login screen you will know that the UI is not going to be the same. 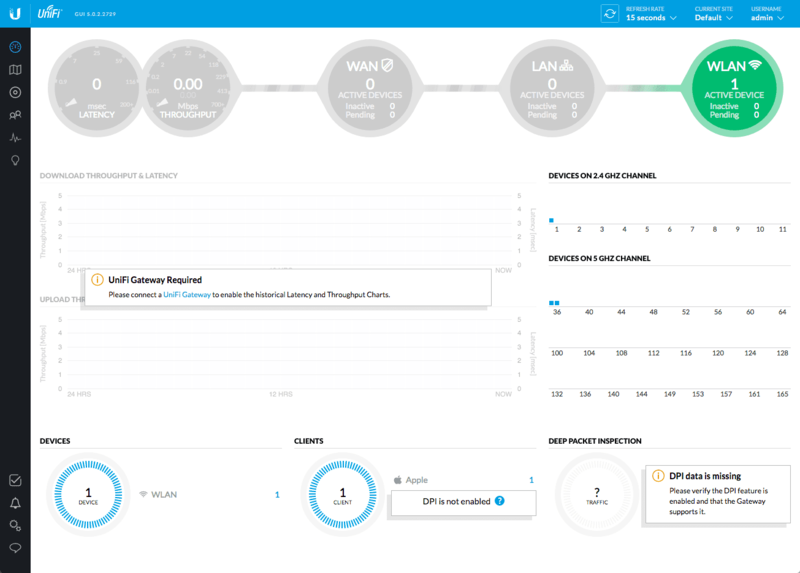 The first thing you will notice is the UI is modeled much like the Unifi Federated Cloud hosted on http://unifi.ubnt.com which brings similar look and feel to the two which is a nice thing. The dashboard also does some very cool automatic re-sizing and movement of the tiles to accommodate as your browser window. The other major change is this controller is mobile responsive. Below is the same dashboard on an iPhone. Beyond the obvious changes in the interface, you will see a lot of new features and options in the settings. The main things to note from above are the ability to re-map the VoIP port on the USG 3-port model, and the periodic speed tests. Deep Packet Inspection is still in BETA and is currently already available as BETA in the current controller. 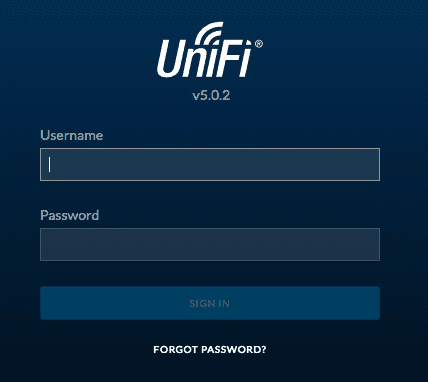 Unifi Controller Version 5 NEW GUEST PORTAL! This is something I am very excited about. The previous guest capture portal quite frankly was pretty much junk. It was hard to customize, and most importantly was not responsive for mobile devices. Many users resorted to a community based portal that was developed by a few folks on the forums. With version 5 comes a brand new portal that is responsive, easily customizable, and still supports all the same authentication options. You can see there is easily changed options! No more getting into the controller to edit config files and testing. You can even see a screen view of both desktop and mobile views instantly. This alone gets MAJOR KUDOS to the folks at UBNT from me. The other thing they added here that a lot of people will like is that under the “Payment Based Authentication” you can not actually add packages including a single FREE tier right in the interface. 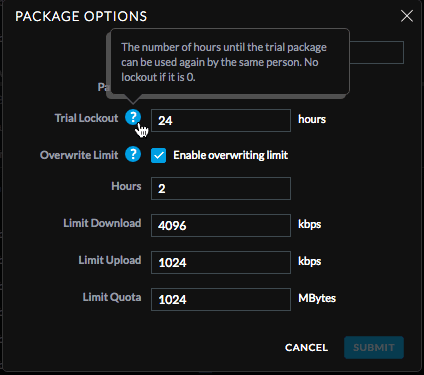 You can also set each package to have specific user limits! Again something that was clunky or impossible to do in the old version, so again KUDOS! NOTE: I have tried testing the paid options with a Stripe API and the stripe account in “Test” mode but it does not seem to process. Working with UBNT-Brandon on that but there is not that much to configure to make it work. For me to test Stripe was the easiest to setup and account with. I did already send one use case suggestion over to UBNT-Brandon for the portal. As awesome as it is and that it’s MUCH improved there is this. I have a use case where the “FREE” and “PAID” tier(s) are also separated and controlled on different VLAN’s. The reason for this is the DHCP scope hands out different DNS servers so the free users are content filtered, and the Paid ones are not. This is done by using two networks with different DNS servers in the scopes. We then BLOCK DNS requests on those networks and restrict only to the assigned servers (Which will be much easier when the USG support UI based firewall rules….also coming in V5 I think). 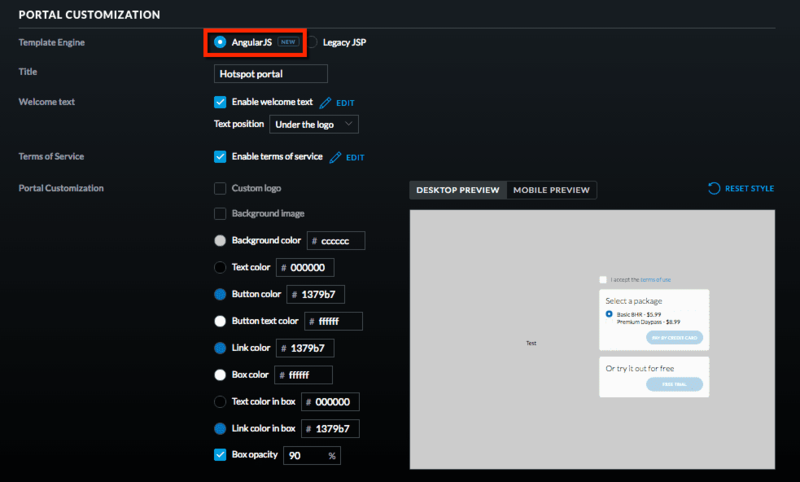 Even with this awesome new portal if you assign two wireless networks to “Apply Guest Portal” they will both be presented with the same portal. Once that user’s device is authenticated (Free or Paid) then they would be able to connect to either wireless SSID. Free users could get unfiltered access and paid users could accidentally get filtered. It would be really nice if the portal could also force the user to a specific WiFi SSID. Better yet….having the ability to assign different portals to different networks would also work. At the end of the day I could see this sort of use case for others. Let’s see what they do with it. Ultimately I am pretty impressed with the overall re-design and the new responsive aspect of both the controller and the captive portal. 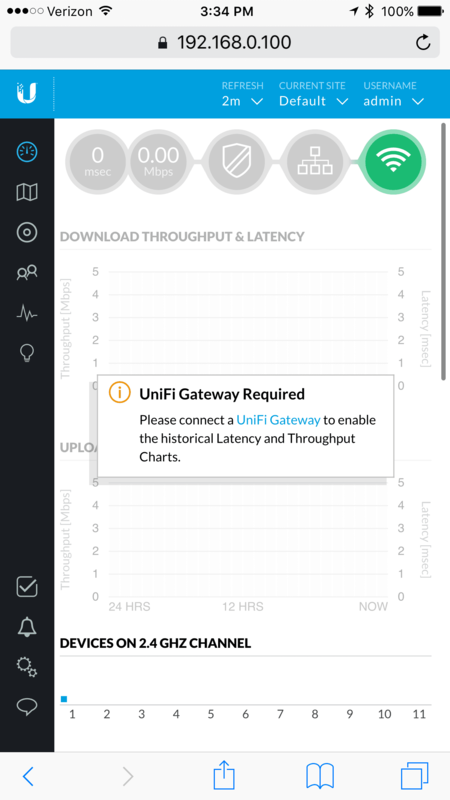 It really shows that UBNT is listening to the user community about the features. I am thinking about getting a USG to test the UI based firewall rule configs now that I have the V5 controller running, but all in all this is a cool advancement in the controller.